ClearCorrect requires you provide clinical photos for each case you submit. Photos help us understand your prescription and interpret your instructions. If you don’t have the photos on hand when you submit your case, you may be able to upload them later on the case page, but don’t wait too long—the case won’t move forward until we have all required records. In this article we will cover clinical photographs, why we require them as well as tips and information to help with taking quality clinical photos of your patients. Why does ClearCorrect require photos? Another reason ClearCorrect requires photos is to accurately orient the patient's occlusal plane. 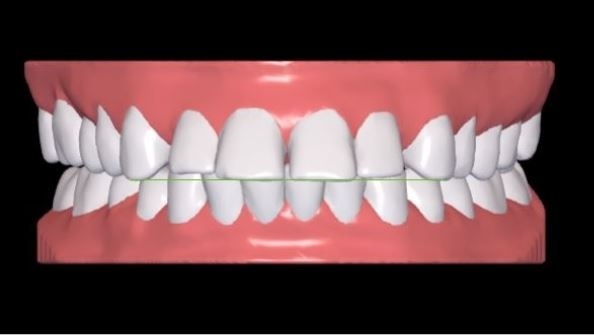 The occlusal plane is a line that is drawn along the occlusal surfaces of the lower molars and premolars. Without a photo of the patient smiling, the models may be oriented with the occlusal plane too flat or excessively tipped, causing the maxillary incisors to look like they need to be intruded or extruded. Note in the images below the difference when the occlusal plane is calibrated. 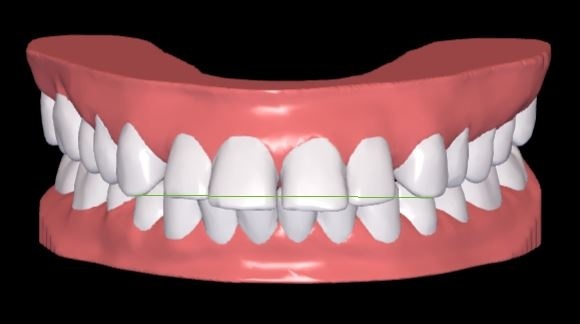 The angle of the occlusal plane varies from patient to patient. After scanning impressions the technicians must attempt to accurately orient the patient's occlusal plane before staging treatment from your prescription. Here are a few examples of common mistakes made when taking photos. This front view doesn't demonstrate the bite relationship, because the mouth is open and the teeth aren't touching. We need to be able to see how the teeth are fitting together. To submit after photos simply take photos using the same angles you used in the submission process and send them to feedback@clearcorrect.com. We've attached a downloadable photo template for you to use if you need one.